Learn more at the Sensory Bar, or visit stand E120. The wait was worth it. 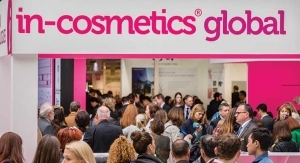 After a 15-year hiatus, In-Cosmetics Global returned to London.